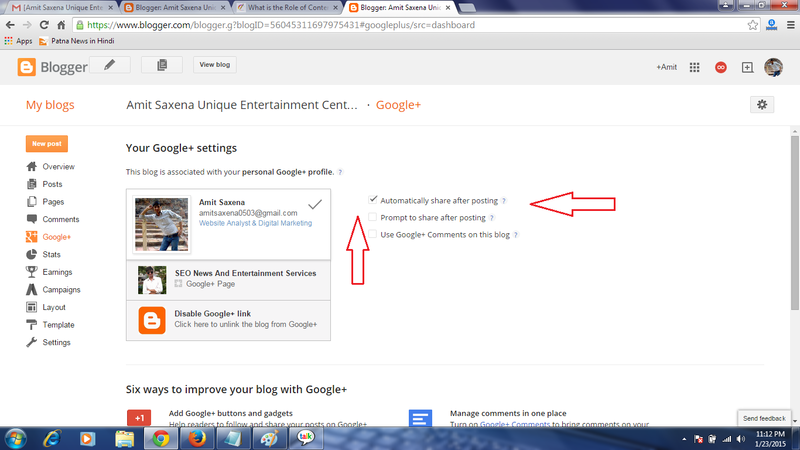 I am sharing here how to disable comment link in the blogger blog/website. We also tell you some important comment setting for the comment too because these days many visitors or blogger post unwanted comment on your blog to increase their blog traffic or website traffic. they do so to increase backlinks too. Some guys post unrelated category comment or Adult comment with the adult website link. It may be harmful to your website or blog. So Nobody wants to keep like these spamming links on the site. So Let see here how to manage it. On the other hand, Commenting is good and useful for your website or blog ranking and your visitor review. If your daily visitor reads your post and want to ask something or want to give feedback about your website or blog then this is very useful. Google boot Like Website review and good positive comment. Therefore I am telling you how to manage all things. Bad comment remove and good comment show. First of all, I am telling you the basic set of comment. So do the following step. 1. Go to the setting menu. Note: In case - If you do not get the Above setting then you have to do some other setting before it. Check the only first checkbox and leave both below box. 1. Showcase images with Lightbox - (Yes ) - It means- when anybody comments on your blog then show his / her short profile pic. 2. Comment Location - this provides four option. embedded, full page, Pop-up windows and hide. so I think the first option is best. because here you can see your Comment preview. It also looks nice and professional. 4. Comment Moderation - It has 3 option. Always, Sometimes and Never- Select Always. It means Comment will show after your check and verified it to live. Sometimes means - It automatically lives sometimes and sometimes after verification. Never means- Live without verification. Note: After this setting, you receive an email. so open your email ID and read it. how is comment good or bad. if you like and want to live then click on publish the link. if you want to not publish the delete it. 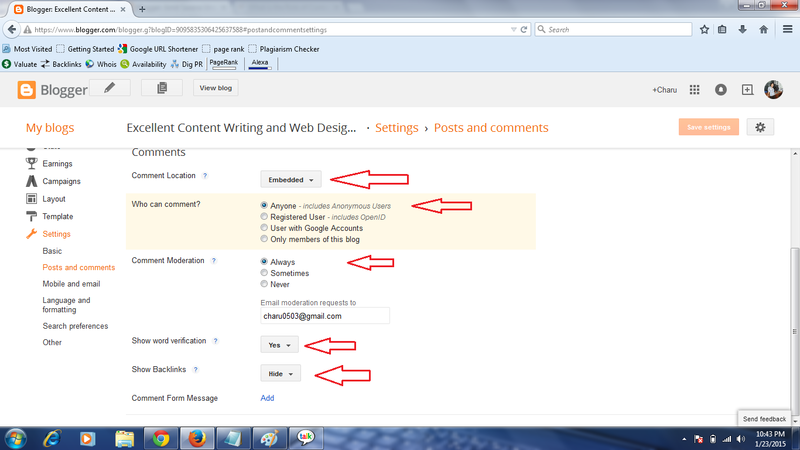 or if anybody comments again and again in a bad manner you can click on a spam link. it means next time. he/she can not comment again on your post. So it's a very good tool to save the spamming comment. 5. Show word verification - set it yes/no - it means when anybody post comment the show verification code (Captcha) or not. you can keep it No. because sometimes real visitor doesn't like to waste time to fill up word verification and leave your post. So in this case, you can not receive your valuable feedback. Note - if you do not understand well these then you can simply click on what Sigh (?) and read about all. Now Very Important and your Important answer to. how to disable Comment link. so do the following step. and paste the following code just above/before it. 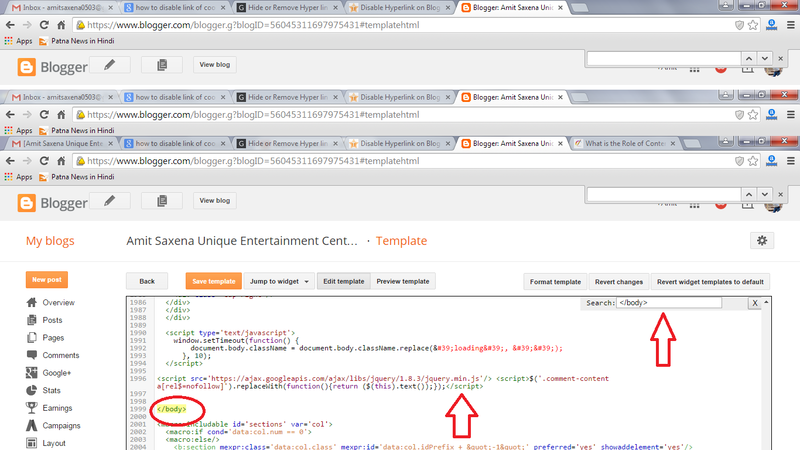 Now if anybody comments with the link the link removes automatically on the keywords. It shows as plain text. Don't forget to give your valuable feedback.